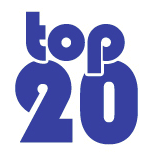 New software is coming out all the time for various platforms that I use and having to write a blog post updating a “top-20” list each time just won’t work – mainly because something better inevitably comes out which invalidates a previous entry. I don’t want to go back and retroactively edit entries I’ve written in the blog itself, so I’ve created three new WordPress “pages” on Dhryland which you’ll see right at the top of the screen. At the time of writing there’s nothing in them yet but just as soon as I settle down comfortably I’ll construct what I believe to be the most important programs on each platform – ones which I use every day and/or couldn’t live without. The pages will then be updated as programs are superceded by better programs etc. So bookmark them now and check them regularly. Of course, new blog entries will continue to appear at their current rate of approximately one every quarter century as and when I see fit to write ‘em. And new tweets will continue to appear, too. I know y’all love those. Comments/captcha should now be working again..
For some reason I had installed two captcha systems on the site and then never actually tested it. I received a report that comments were unable to be added and this was indeed true. I have corrected the problem and comments should now work again, assuming you enter the captcha code correctly. I will also try to minimize any half-baked site tweaking in the future. Sorry about that! Finished the move to the new house. Stuff is strewn everywhere, in and out of boxes, but the most important stuff (the TV and my PC, aka Dhryland Central) is hooked up and ready to entertain. Still got a crapload of stuff to do but hope to get back to some sense of normalcy soon. Edit: Hyper-Cache turned out to be crap and kept throwing “gzip” errors of some sort. Blew it away and installed WP Super-Cache instead – which seems to be working so far.